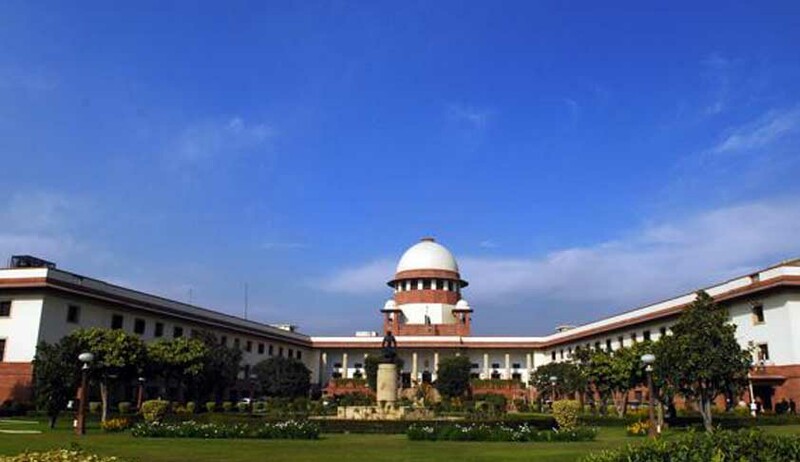 Supreme Court today has reserved its verdict on the plea of death row convicts in Rajiv Gandhi assassination case seeking commutation of death sentence to life imprisonment. A three-judge bench headed by Chief justice P Sathasivam reserved the order after hearing the arguments of counsel appearing for the convicts and Attorney General G E Vahanvati who represented the central government. In 1998 trial court had sentenced 26 people to death over the assassination of Rajiv Gandhi on May 21, 1991, by a Sri Lankan Tamil suicide bomber in the southern state of Tamil Nadu. The Supreme Court had confirmed their death sentences in 2000. Citing delay of over 11 years in deciding their mercy petitions by the President, the three death convicts in the Rajiv Gandhi assassination case sought commutation of their death sentence to life imprisonment and filed a petition before the Supreme Court. Live Law Report here. The three have argued that the delay in the disposal of their mercy pleas by 11 years and four months made their death sentence “unduly harsh and excessive” and violates the right to life under the Indian Constitution. The AG contended that it was not a fit case for the apex court to commute death sentence on the ground of delay in deciding mercy plea. Admitting that there has been delay in deciding the mercy petitions, Vahanvati, however, contended that the delay was not unreasonable, unexplainable and unconscionable to commute death penalty. He further submitted that the Apex Court's recent verdict, holding that inordinate and inexplicable delay can be ground for commutation, is not applicable in this case as the condemned prisoners did not have to go through agony, torture and dehumanising experience as it was held in the January 21 judgment. The counsel, appeared for the convicts, opposed the arguments of Vahanvati, saying that they have suffered due to the delay by the government in deciding the mercy petitions and the apex court should intervene and commute their death sentence to life term. The convicts, in their petition, submitted that mercy plea of other condemned prisoners, which were filed after them, were decided but their petitions were kept pending by the government. By reserving its verdict court observed that prolonging execution of capital sentence has a "dehumanising effect" on condemned prisoners who have to face the "agony" of waiting for years under the shadow of death during the pendency of their mercy plea.